Easy to use, fun engagement and budget friendly. Many of our clients have asked for something new that is fun onsite but also can be used effectively for communicating the client’s message. Yep – integrated marcom! 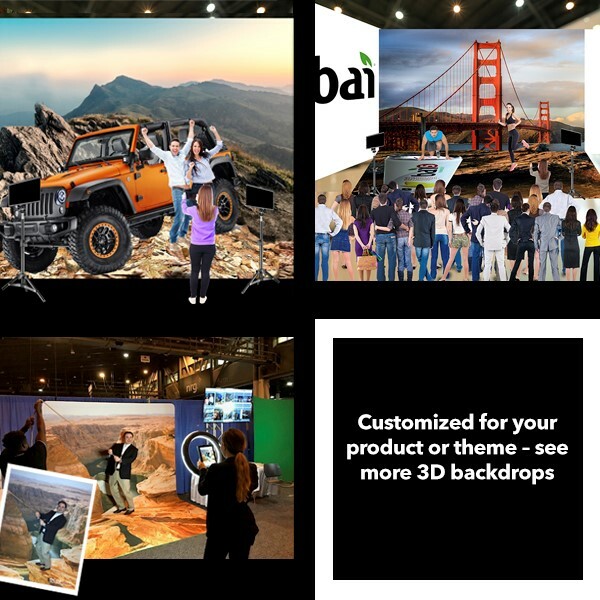 So, we developed the 3D backdrop which can immerse the participant in the scene and combined it with our Activ8 Plus™ electronic photo delivery platform. Would you like to deliver short form video, CTA’s, app downloads, sales funnel direction, data collection, branded sharing? All on mobile. We can do that! ON A BUDGET! Ask us how.